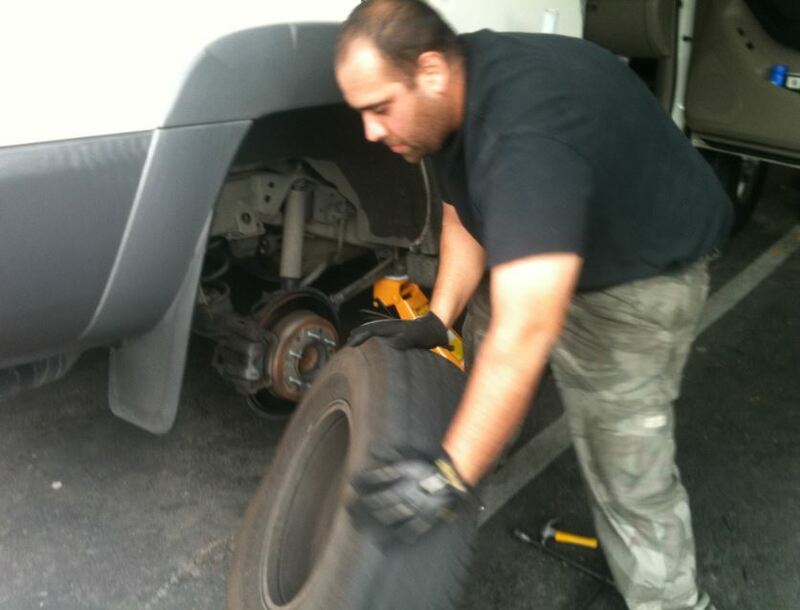 Flat Tire Change in Pittsburgh PA, 24 Hr Towing, Tow Truck Pittsburgh, Towing Pittsburgh, Tow Truck Service Pittsburgh PA - Pittsburgh Towing Co.
Flat Tire? Don't worry! By contacting us for roadway assistance, we can quickly change the tire if a spare is available or the vehicle can be towed to the nearest auto service garage in order to replace the flat tire with a new one. ​Give us a call at (412) 693-0024 to schedule a flat tire change. Anyone can experience a flat tire with the most obvious indication of a popping sound while driving. Most cases also involve sluggish acceleration of the vehicle, which feels like the brakes are being applied while driving causing the vehicle to lose its momentum. If the the tire has been blown out, the vehicle will suddenly pull towards that affected tire. When this happens, immediately pull the vehicle to safety if possible. Turn the engine off and be sure to apply the emergency brake to prevent movement of the vehicle while the tire is being changed. Flat tires can be caused by puncture, tire failures, excessive or deficient inflation, wear and tear, and sometimes, damage to the valves. Call us for fast roadside services in Pittsburgh: (412) 693-0024.